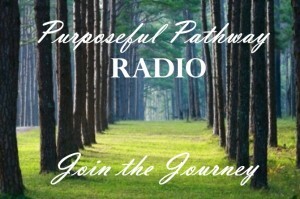 Purposeful Pathway RADIO is a place to refresh and revive, a haven with insights and inspiration, a pathway graced with passion and purpose. Join the journey and hear remarkable real-life stories of others as they travel their purposeful pathways. View the show schedule below. Interested in working one-on-one with Caroline? Join the journey and email her via caroline@purposefulpathway.com to schedule your complimentary 25-minute Christian Life Coaching session. May God bless you abundantly on your Purposeful Pathway, your Journey with Jesus!